Georg Philipp Telemann has long been perceived as a composer of sacred music, and particularly of the German-language church cantata. However, in the course of his long life he also composed church works setting Latin texts. 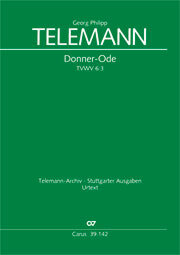 In addition to works for smaller ensembles there is presently only one larger psalm setting, "Deus judicium tuum", that is available in a new edition. 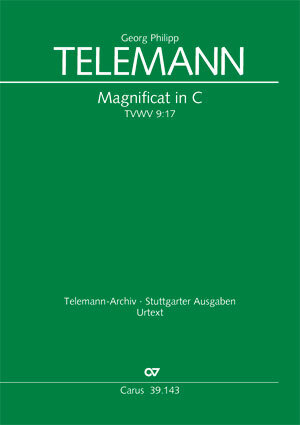 This is now joined by the first ever scholarly, critical edition of his "Magnificat in C major". Telemann probably composed this impressive work for the dedication of the organ in the Leipzig Neukirche in 1704. Like Bach’s well-known "Magnificat", it is scored for three trumpets and timpani. For ambitious church choirs, the work is really worthwhile, and is also a most effective piece for audiences to enjoy.